The guys from The Hunting Public arrow their first whitetail of the year, a velvet buck on public ground in Kentucky. As I explained in an earlier article, one online hunting series I follow each fall is The Hunting Public. Usually the guys pursue whitetails on public land across the upper Midwest, but at times they expand their reach. Such is the case in the video below where they take a roadtrip to Kentucky in hopes of crossing paths with an early September velvet buck. Kudos to the guys from The Hunting Public for keeping it real. They prove that you don’t need access to vast amounts of prime private ground to encounter good-sized bucks. Viewing tip: This year, the guys have split up into two groups. Group one traveled to Kentucky, while group two visited Nebraska. You’ll see these “Deer Tour” videos labeled by episode. Deer Tour episodes one through five showcases Kentucky action; episode six begins covering Nebraska. Next, Minnesota bowhunting starts with episode 10. Each installment is typically 15-25 minutes in length (some are as long as 45 minutes), so you can binge-watch to catch up. The Hunting Public cohosts post a new episode about three times per week. Trust me, it’s good stuff and worth your time. You’ll learn nuggets of how-to info that you can use on your own hunting area, regardless of whether you pursue whitetails on public or private land. I especially enjoy the advice they give regarding scouting new areas and placing treestands. They do a fair amount of bowhunting from the ground, too, which is cool. 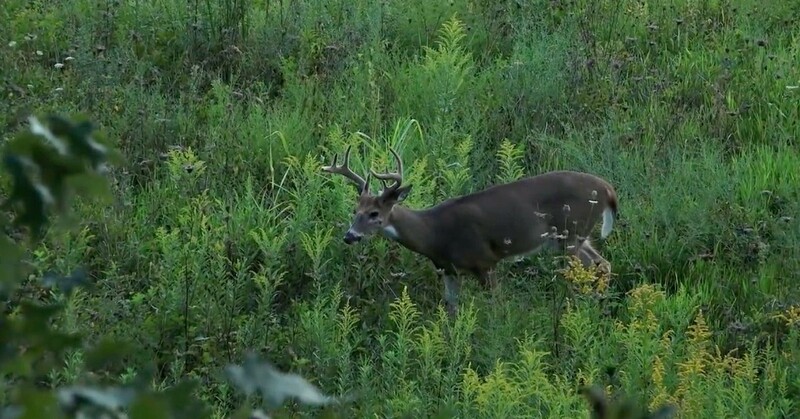 Enjoy the velvet buck video below, and good luck this archery season!